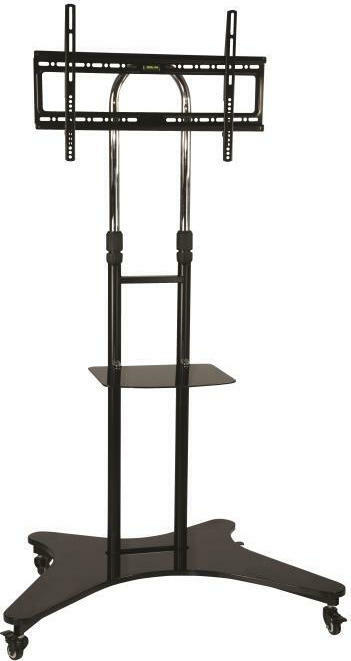 Overview:Professional Mobile TV Trolley with Camera holder. It is ideal to be used for schools, hotels, conference rooms, lobbies, hospitals, ans shops. Overview:Professional Mobile TV Trolley with Camera holder. It is ideal to be used for schools, hotels, conference rooms, lobbies, hospitals, ans shops. It is moviable and the tv mount is height adjustable for offering perfect viewing position. Fit TV size 32" to 65"